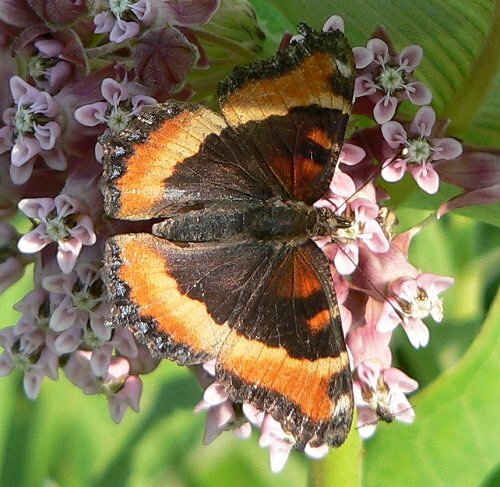 In most years this butterfly is fairly common in our part of Wisconsin, but in some years we see hundreds of caterpillars and butterflies. 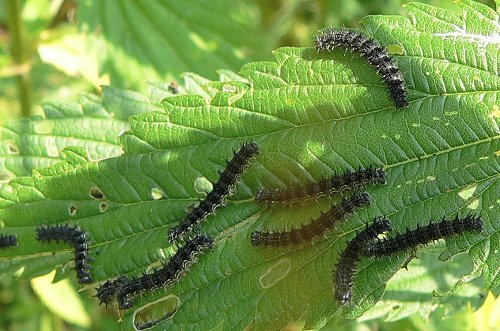 The caterpillars eat stinging nettle (Urtica dioica), and in peak years the caterpillars can completely decimate the leaves on our nettle plants. 2005 was one of those peak years. 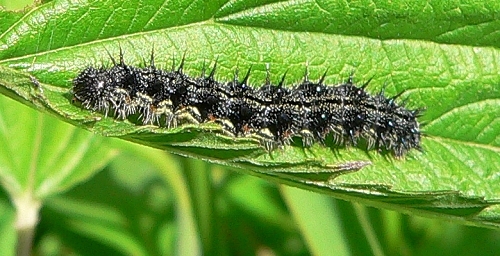 In our July 21 butterfly count, we saw 134. 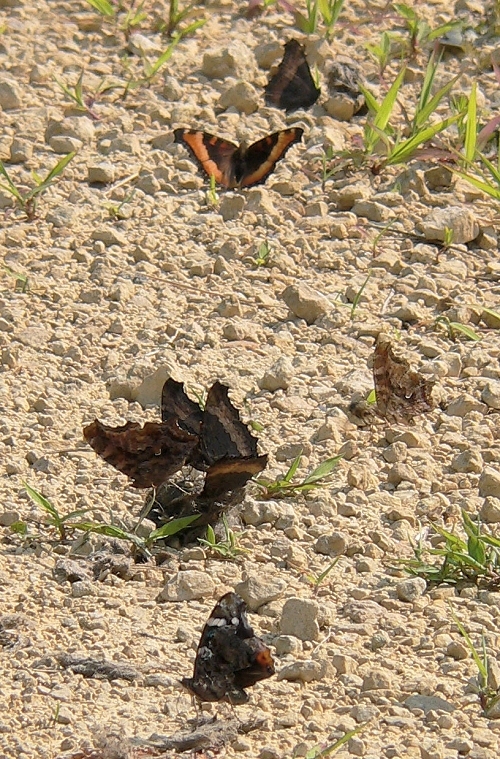 We would have counted even more if we had walked the driveway earlier in the day, before the sun got too hot. 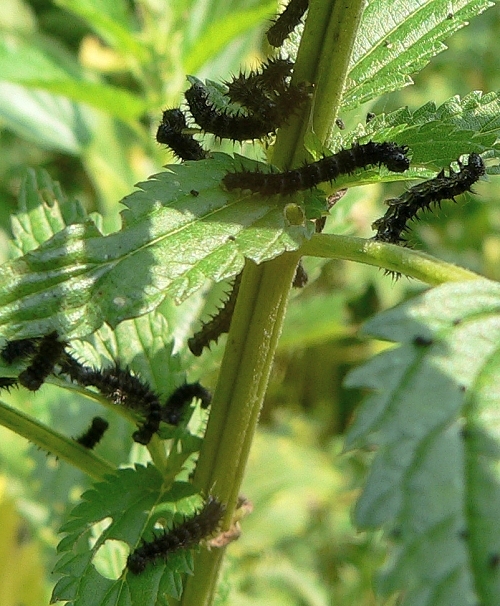 Caterpillars feed in groups, on top of nettle leaves. 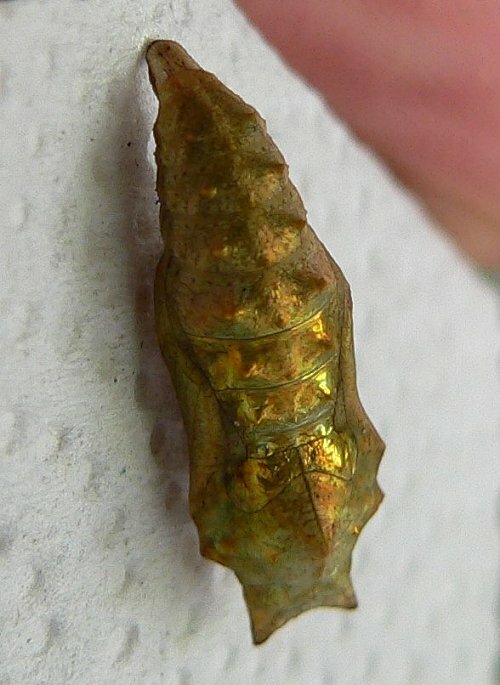 The chrysalis has a beautiful gold sheen. 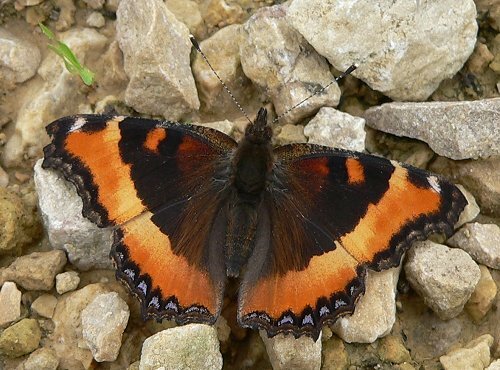 And basking on the driveway - where I most often see them. 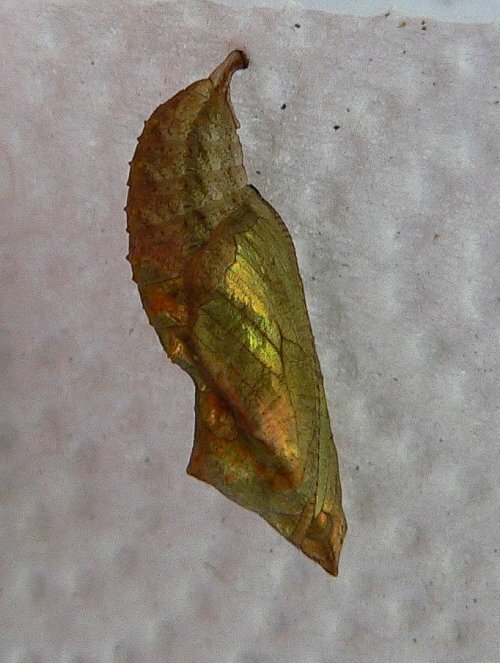 This entry was posted on Friday, February 27th, 2009 at 9:47 am	and is filed under Butterflies, Lepidoptera. You can follow any responses to this entry through the RSS 2.0 feed. Both comments and pings are currently closed.